Scent: Faint, if a strong scent is required you will need to add lavender essential oil or lavender fragrance. A full aromatherapy experience, guaranteed to soothe the body, quiet the mind, and tranquilize the soul. An experience such as this has always been associated with a spa, but now you can attain all of these benefits from a Butter. Help your Creams, lotions, body and lip balms, and bar soaps calm those frazzled nerves by using Lavender Butter from 3% to 100% in your formulations.! 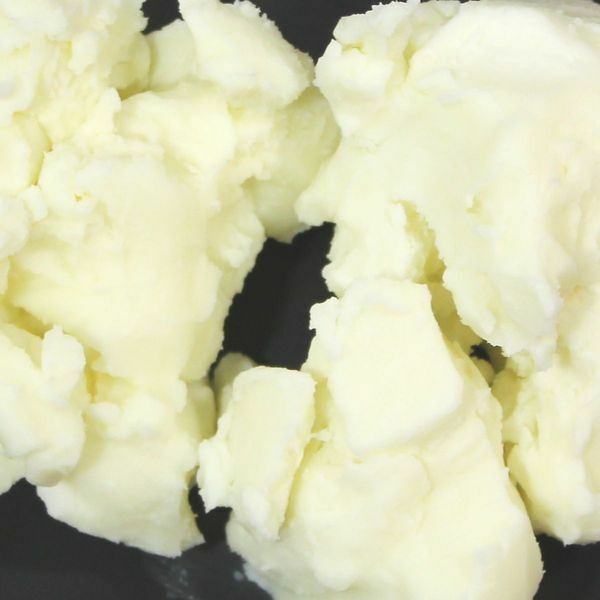 Lavender Butter is actually an extract of whole Lavendula angustifolia (lavender) flowers using a Sweet almond Oil / Hydrogenated Vegetable Oil mix which produces a smooth, velvety "Butter" at room temperature that smells of fresh growing lavender. With this product you can not only get the clinically proven power of lavender, that produces soothing, calming, and near sedative effects, but you will also get it in a luxurious easy to use butter base that will add amazing skin feel to any emulsion, or anhydrous formulation. it is completely oil miscible and containers no preservatives or coloring agents. Storage: Keep in a cool (preferable below 25 degrees Celsius) Storage away from light and moisture in unopened container. The above specifications are offered in good faith, and are accurate to the best of our knowledge; however, no guarantee or warranties are offered or implied. It is recommended that your laboratories perform their own analysis to ensure that the product specifications and results meet your specific requirements, and those of your local and national governmental standards. I bought this for a friend who just loves lavendar. I buy her some essential oil every month when I make my Soapgoods order. I am a bit embarassed to say this, but I will not be giving this away but indulging myself with it. I have already added some lavendar essential oil, so am looking forward to each and every time I use this wonderul product. Again, Soapgoods meets my expectations to supreme quality. I am so glad I found you. What a terrific butter! The smell is lovely and it whips right up in my lavender & Vanilla body butters. Paired with Lavender Essential Oil, the smell is even more amazing. Very affordable as well. This is one butter you must try! The smell is awesome and on point! I make a salve with it and use it before I go to sleep.I have not heard any complaints. You can use this product mix it lightly with Shea butter and aloe butter and wow baby! Relaxing, moisture to the skin, and lavender oil.